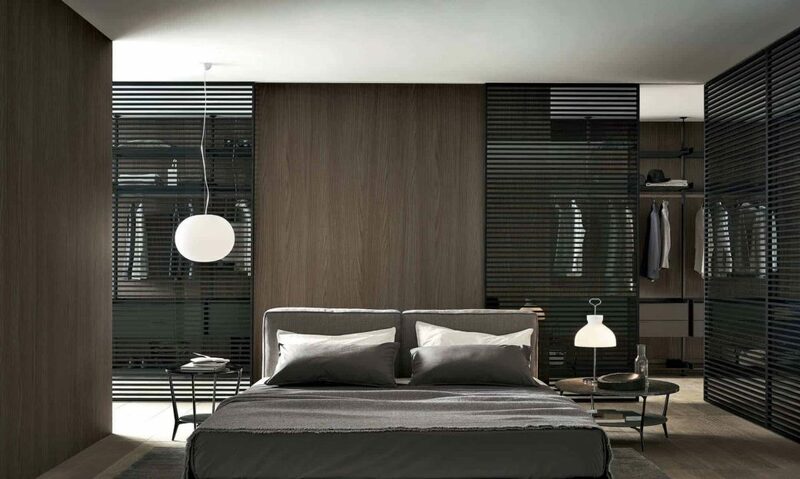 A new interpretation of light interiors, where a high graphic value is associated with maximum technological quality. 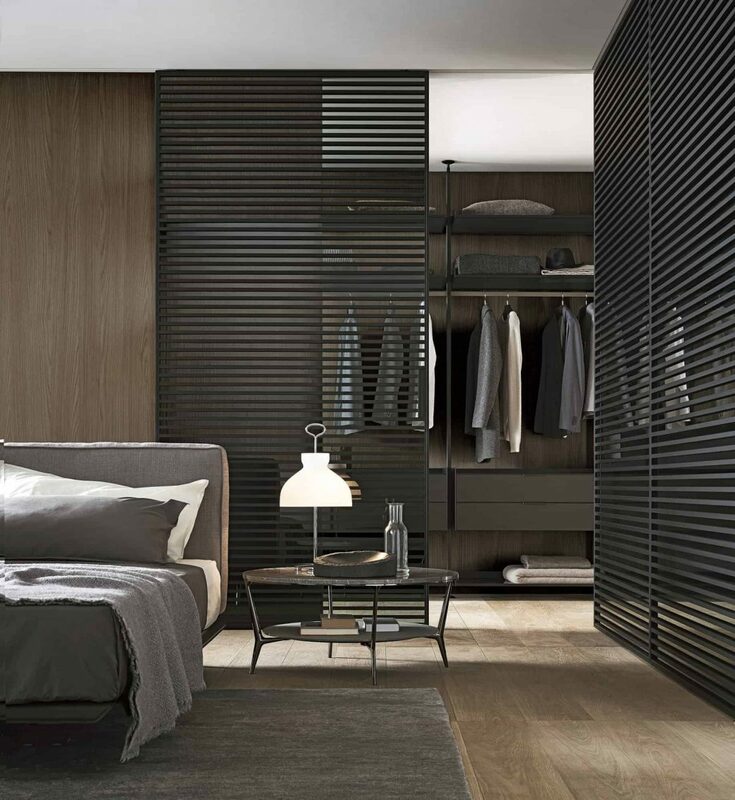 In the photo with Stripe sliding panels: Zenit walk-in closet, and Planet table. From the living room to the living room, it is a system for the construction of the house. 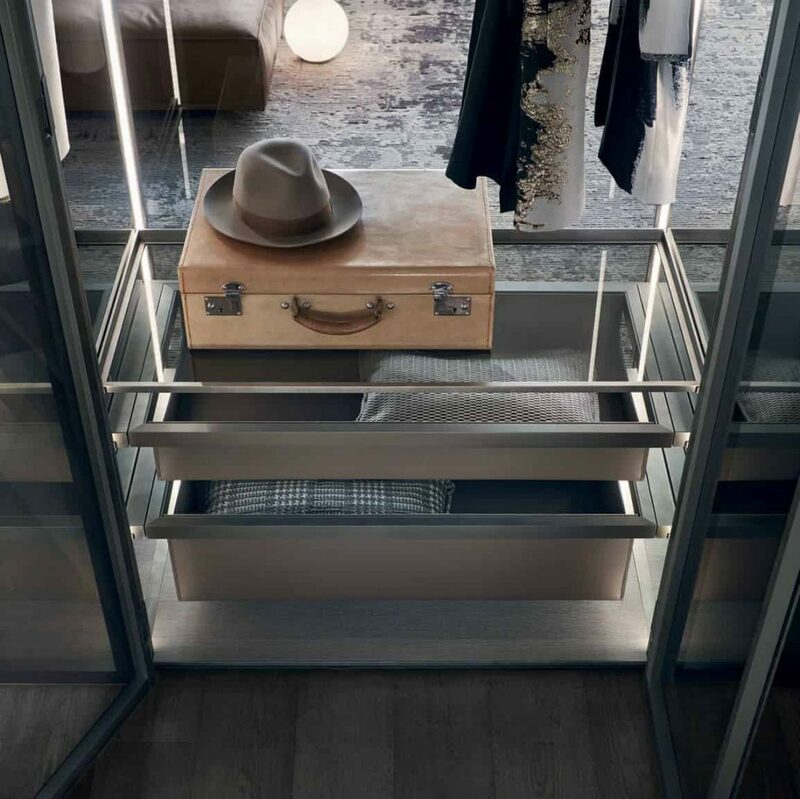 In the photo with Zenit walk-in closet, Planet table. Detail of Cover freestanding storage system. In the photo: lead structure, gray transparent glass, melamine gray oak floor base and top, gray transparent shelves and regenerated clay pull out accessories. 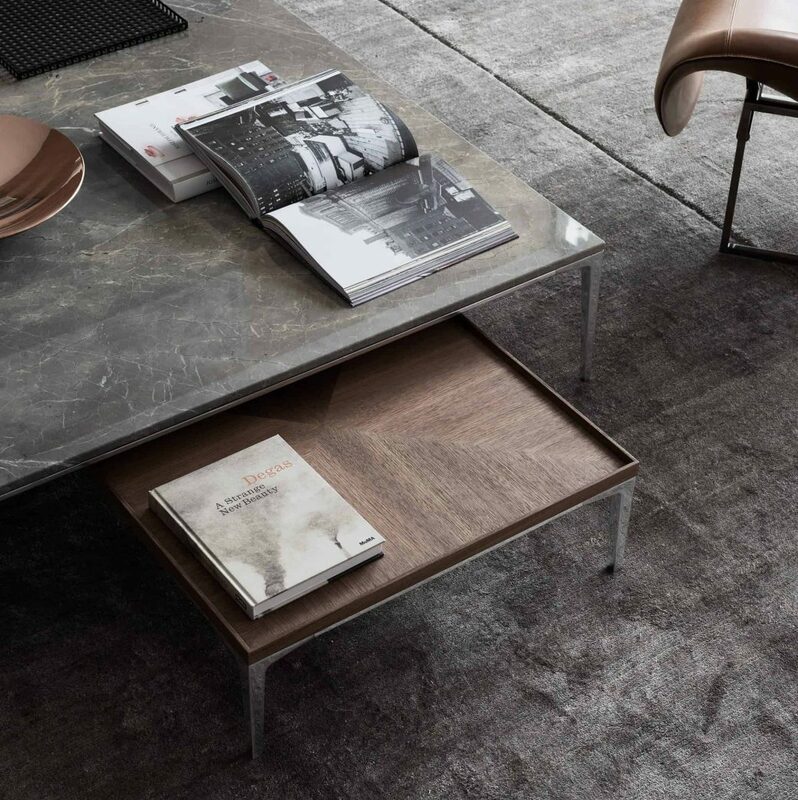 Detail of Tray table in polished aluminum structure with crystal gray top and walnut wood. 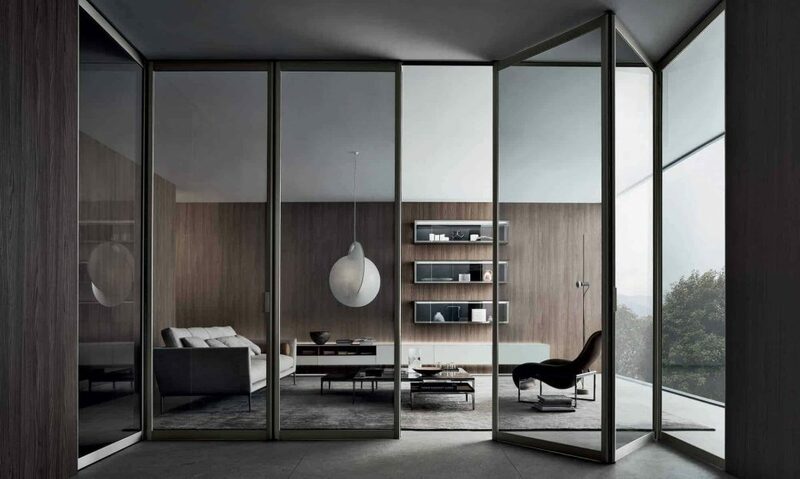 Siparium sliidind doors, expression of the company's conception of interior design with the utmost design flexibility. stainless steel net, aluminum rail.